Matter of Trust was the fiscal sponsor for Lindsay Hassett’s Biofuels4Schools. This was an eco-educational program dedicated to the immediate shift from fossil fuels to alternative fuels. 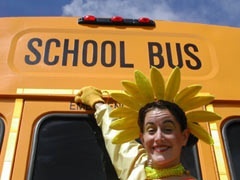 It focused on school bus clean air awareness programs as they relate to children’s health issues.